Two and half years since M.S.K. Prasad (Mannava Srikanth Prasad) was appointed Chairman, Senior Selection Committee, by the BCCI, he has had a super successful run at the job. The Guntur (AP) born, Prasad, the first Telugu person to make it to the high post of chief selector, is modest enough to admit that he never expected to come so far. “Cricket is my passion. I am fortunate to play the sport and give something back to it by serving in various capacities at different times of life,” Prasad says. With Team India’s current form, which has put it on top of world cricket, Prasad’s heart fills with pride to be at the helm of cricket affairs. Ascribing these results to planning and hard work, he asserts that these results stand testimony to the system they have put in place. 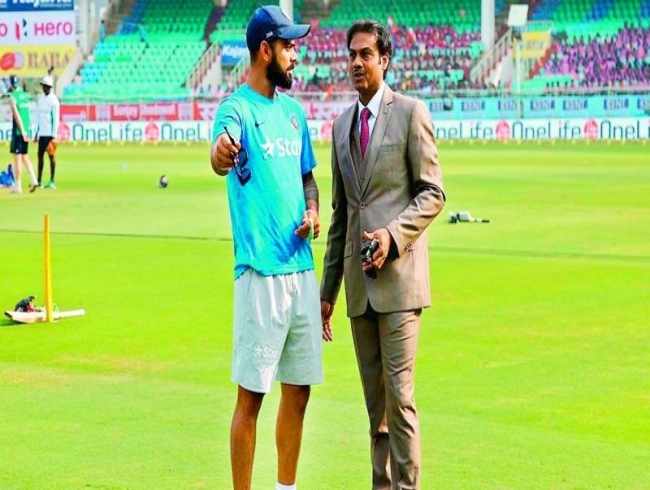 “We (the selection committee) share a great camaraderie with the Team India management (Ravi Shastri, Virat Kohli and other support staff) and India A (Rahul Dravid and co.),” he shares, adding, “We all worked together as a cohesive unit and put systems in place with regard to the progression of cricketers from domestic level to Team India.” The job of selector calls for a heart that can think big this has been Prasad’s biggest learning curve. “As a player you only have to think about your own career path, but as a selector you need to shape several careers, so it is a huge responsibility and requires great commitment,” he explains. But putting a system in place wasn’t a cake walk for the former Indian cricketer. “The toughest one was to convince the senior cricketers and let them know that we may not be considering them henceforth as we need to move on with NextGen. More so, since those senior cricketers have won several matches for India,” he says. Reminiscing on how he got to being appointed chief selector, he says that his efforts as director of Andhra Cricket Association (ACA) earned him the confidence of secretary, Dr Gangaraju. “He proposed my name to the BCCI who, in turn, acknowledged my efforts. I was made a selector first, and subsequently, appointed as Chairman of the selection committee,” Prasad recalls. He credits his better half for his accomplishments. “My wife is a doctor. My daughter is studying medicine and my son is in class VII. In the last few years I hardly spent time with them. But it was my wife who nurtured them, else, I wouldn’t have done justice to my job,” he beams. Family sweats it out too!